Don’t have the time or the resources to clean up your rubbish? Dispose of all your unwanted rubbish quickly, cleanly and cheaply with Rambo’s Rubbish Removal. We’re local, reliable and friendly. For all commercial, domestic or industrial waste & rubbish collection, we’ll have you sorted. We come to you at a time that’s convenient, provide an upfront, all-inclusive quote and immediately remove and recycle all your unwanted rubbish. Our rates are some of the best in Melbourne. AT RAMBO’S RUBBISH REMOVAL NO JOB IS TOO BIG OR TOO SMALL. Rambos Rubbish Removal Melbourne offers a wide range of rubbish removal serrvices throughout Bayside and the South Eastern Suburbs of Melbourne. We provide rubbish removal, garage and shed clean up for domestic, commercial and industrial clients. FULLY INSURED AND FREE ON-SITE QUOTES. We accept several forms of payment which can be arranged when booking your job. 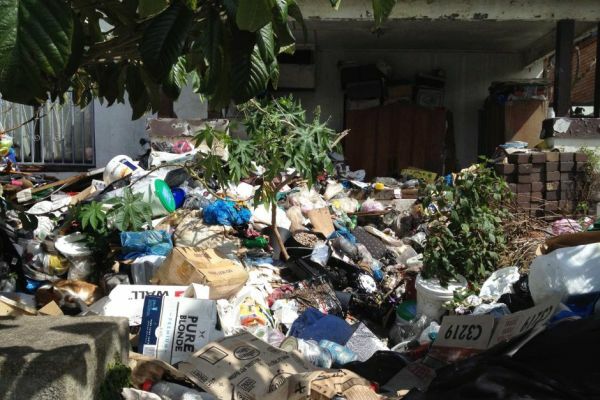 We offer complete rubbish removal services no matter how big or small the job is. Give Tony a call!